Thanksgiving is very closely related with American images of turkey dinners with family and friends that we haven’t thought of whether the holiday could be something more than remembering the Pilgrims. Actually, Thanksgiving has been celebrated not just in the Western world but in ancient times and in many different cultures. 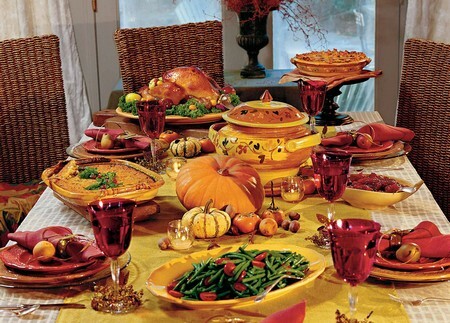 In ancient times, Thanksgiving was usually celebrated after the harvest season when the produce was abundance blessing people with enough food to last through the winter. In ancient Greece, Thanksgiving was celebrated during the feast held in honor of Demeter who was the goddess of agriculture. As the celebration was heavily linked with fertility and childbearing, this was the reason married women would build shelters and fast during the first and second days of the festival. The Romans celebrated the festival each year on October 4 in honor of Ceres who was the goddess of grains. The harvest festival for Chinese was a feast for the moon’s birthday and special “moon cakes,” which were round and yellow like the moon were baked. The Egyptians honored their god of vegetation and fertility, Min, with music, dancing and a great feast. And the Hebrews observed a harvest festival called Sukkoth, which was known to be a feast eaten inside huts. All these festivals were held in honor of gods who oversaw the bearing of fruits, the growth of their crops and the fertility of the womb. Each event was celebrated with a lot of feasting, dancing and singing. Offers were made and pleas for another good harvest and for children were sent out to the gods. These same traditional practices are still being observed today despite the Christianity prevails. During the time when Pilgrims were just newly settled in the New World, they experienced a period of hardship, tragedy and sorrow. They were used to an industrialized England and they faced with a terrible situation when they were suddenly forced to confront the wilderness in the New World. Many of them had died while struggling against the harshness of the land and the threats of the Native Americans. Beating the chances of surviving, becoming friends with their American Indian neighbors and producing plentiful harvest that would sufficiently last through winter were great reasons to give thanks to God. Having the similarity with ancient peoples thanking their gods, the Pilgrims also gave their thanks to their Lord through a big feast with families and friends. However, it was different from the ancient times and there was not much dancing, drinking or even singing. Thanksgiving among the Pilgrims was a somber ceremony. The custom of celebrating a feast after harvest was observed through the years but a specific date was not proclaimed. 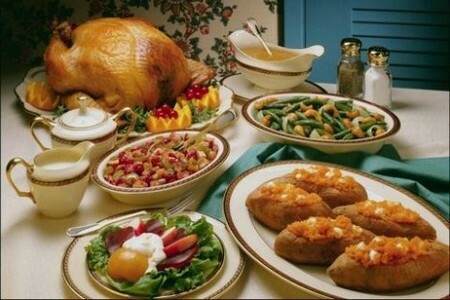 However in the year 1817, the state of New York adopted the Thanksgiving as an annual holiday for the state. Other states followed it and by the middle of the nineteenth century they each had their appointed Thanksgiving Day. President Abraham Lincoln declared a national date for Thanksgiving Day in 1863. Since then, each succeeding President has declared date for the national Thanksgiving Day. The day was usually designated the fourth Thursday of each November as a holiday.